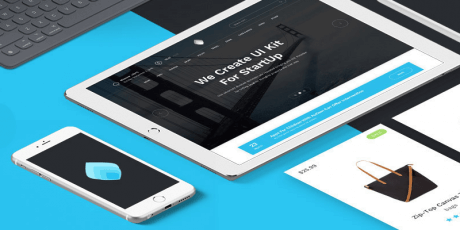 This is a set of 62 carefully designed mobile screens to kickstart your mobile projects. All elements are vector based, designed with a pixel-perfect approach and created in a modular way so you can easily adapt the whole design to your needs. 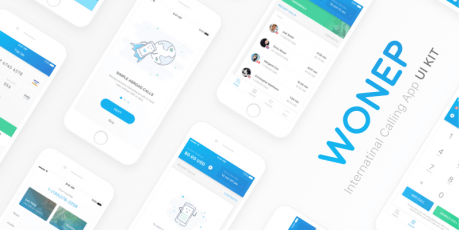 Created by Dribbble user Paweł Łuczak, free for personal and commercial use. 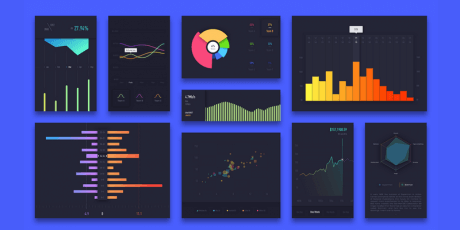 A Sketch UI Kit containing various layouts for graphs, bars, and pie charts. Its theme plays with a dark background contrasting with the gradient colors palette of the elements. 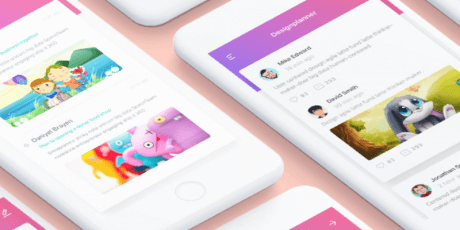 Created by Dribbble user Xer.Lee. 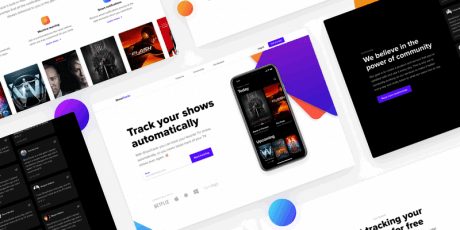 A UI kit designed for a cinema app that focuses on selling tickets online and that provide a space to share comments and reviews about movies. The visual effects and the general visual impact is reduced in the simplest way to express maximum functionality. Created by Behance user Xer Lee. 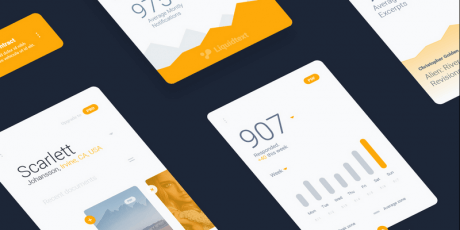 A set of 17 UI cards in sketch format, designed with different kinds of layout arrangements and with a different type of information for each. Created by Dribbble user Alejandro Cuffia. 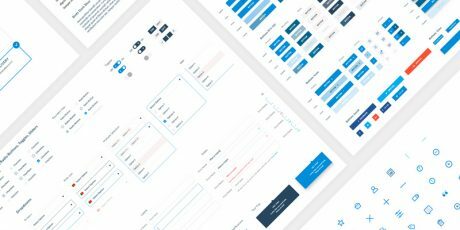 Wireframing and prototyping template with over 300 customisable symbols, 66 premade text styles and 21 screens/examples. Ready for prototyping on web, Android and iOS with tons of premade elements to boost your time and workflow. Created by Mikola Jdobrucki. 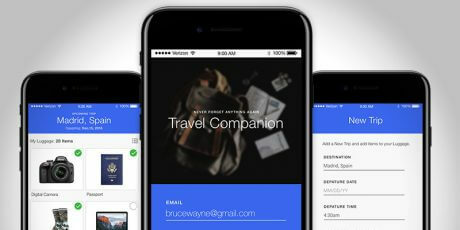 Simple free iOS mobile UI Kit based on a travel social network. It has 15 screens, each carefully layered, grouped and named. 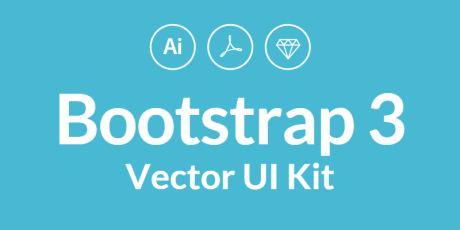 100% vector shapes and HQ images, all in one Sketch file. 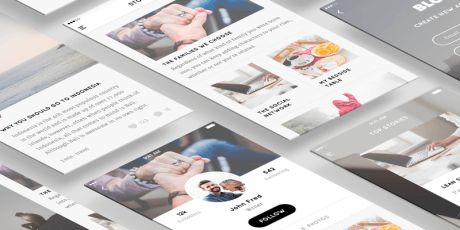 Created by Dribbble user Kishore. 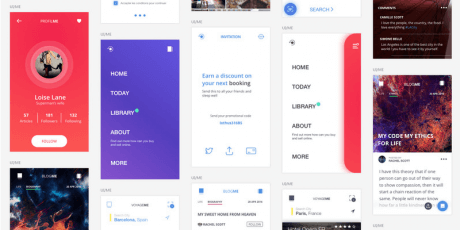 Neat UI Kit for Ecommerce apps, created by The Design Process, perfectly suited for startups and online shops to launch an app with a store function on it. 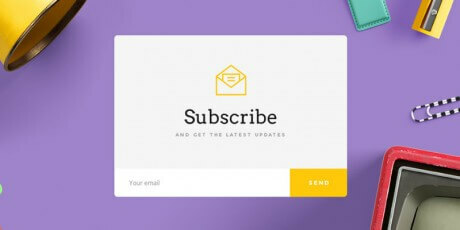 Features 20 fully editable screen templates including sign up/login, main menu, sidebar menu, categories, shopping cart, grids for products, product details, and much more. 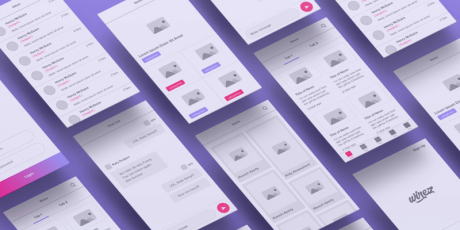 Available in Sketch format, use this UI kit as a base for your personal and commercial projects. 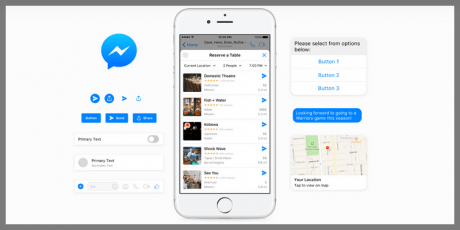 Whether you’re creating a standalone bot, setting up a chat extension or implementing an interactive webview, the Messenger Platform Design Kit includes tools and resources that make it easier to mock up concepts or create customized solutions of your own. 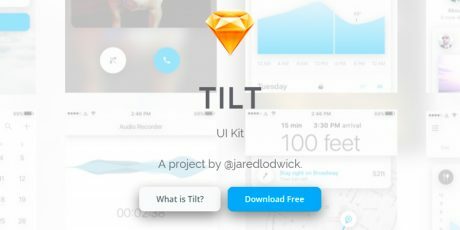 All elements come available in Sketch format, and are completely free! 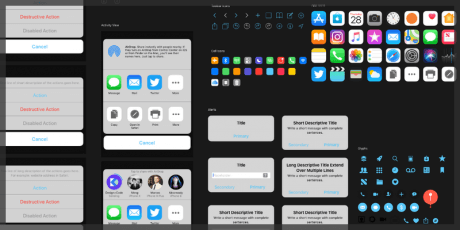 A zip archive with Sketch and Photoshop templates of GUI elements found in the public release of iOS 11. 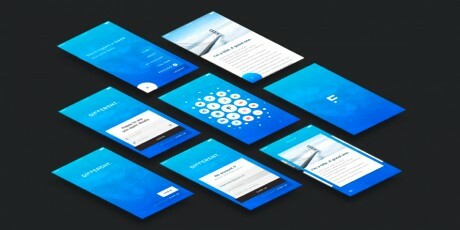 The components attempt to cover as many of the common UI elements within the OS as possible, including renderings of the phones themselves. 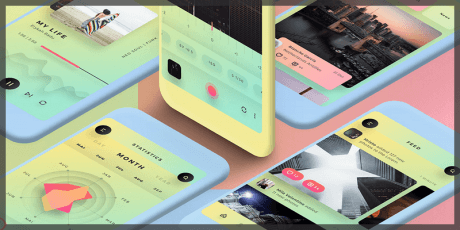 A brand new mobile UI kit created by Behance user Hristo Hristov with over 470 UI elements, 10 categories and over 130 templates to get inspiration from. 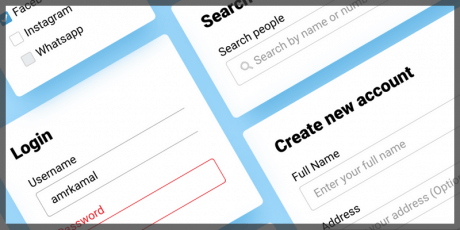 Categories include sign-ups, walkthroughs, navigation, profiles, chat, shop, and more. 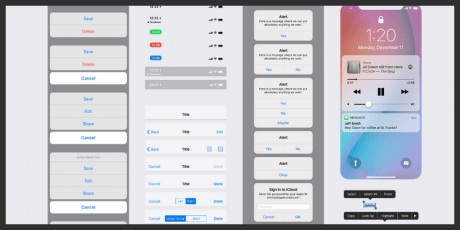 A neat UI Kit from DesignCode created with deep consideration of Apple's Human Interface Guidelines. 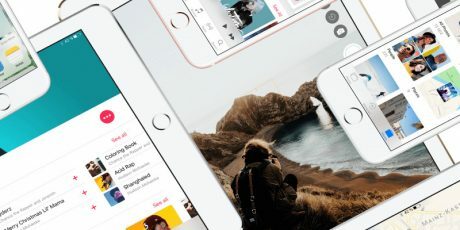 Features components, layouts, and typography, designed at 1x for iPhone X in Sketch, customizable iOS 11 native components, as well as two versions: light theme and dark theme, also, its ready to be used as Sketch Library. The naming convention of each component strictly follows Apple Developer Documentation so you can get familiar with it when you implement your designs in Xcode. 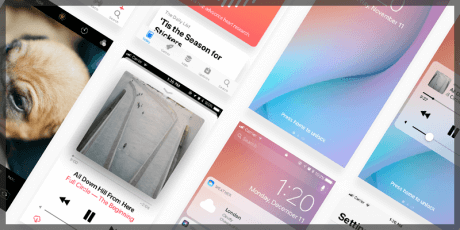 Introducing MAIL, a free, cross-platform UI Kit for building intuitive social apps from InVision. 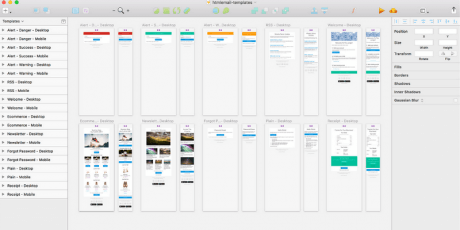 Templates sized for mobile, desktop, tablet, and smartwatch, and available in Sketch and PSD. 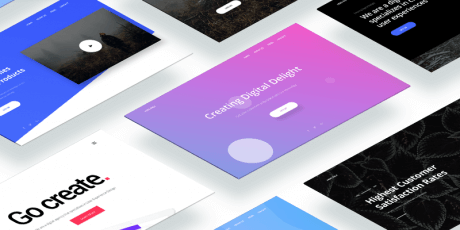 Features 78 UI templates, 26 categories, 250+ UI, Dozens of hand-crafted components, Web fonts for easy editing, and is available in both .Sketch and .PSD file formats. Forma Library is a well-organized sketch file based on nested symbols to provide designers with a starter kit to build configurable Web forms with dropdowns, Checkboxes and Radio Buttons, It is customizable to match your design system so feel free to change icons, colors & typeface to your own DSL. 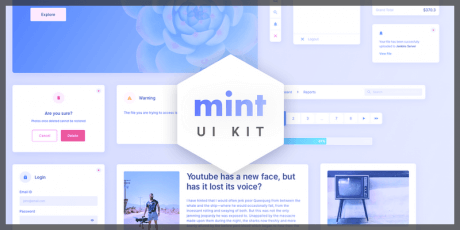 Mint UI Kit is a minimal web interface kit with a selection of soft colors, and a well-organized layout with white space and colored areas to keep the focus on the content. It features several components, screens, buttons, cards, and all the components necessary to create a great interface. It's also completely free for personal and commercial use. 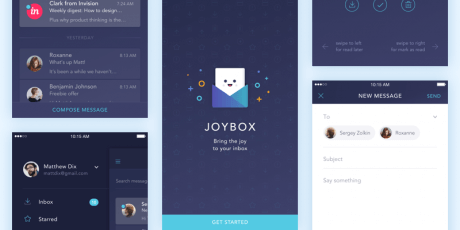 Created by Dribbble user Kuldeep Sharma. A neat and minimalistic messenger app UI kit delivered in Sketch format by Behance user Kuldeep Sharma. 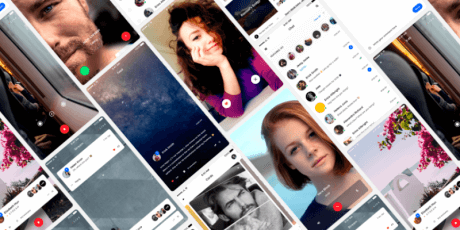 It features a clean design with 4 color schemes and 2 gradients, screens for login/register screens, chats, profiles, contact list, calls, settings, stories, feed and more! 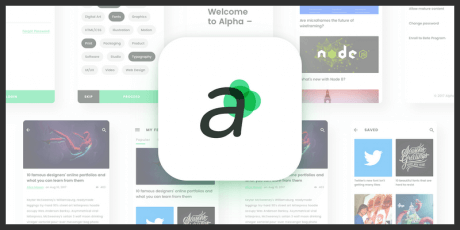 Alpha is a free Blog app UI kit created by Behance user Kuldeep Sharma, released completely free for both personal and commercial projects. 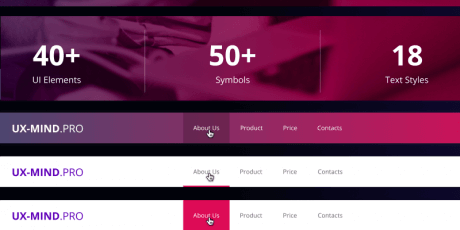 It features a clean and modern design, a selection of 3 base colors for the entire interface, and several screens for sections like login, register, feed, profile, settings, and much more. They are all included in a single sketch file, feel free to download, modify, and use, as you want! 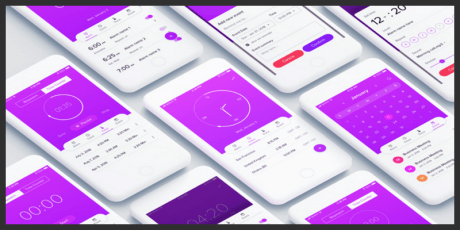 A freebie by Dribbble user A.h Asif, this is a UI Kit for Watch/Calendar Apps, featuring several screens made with vector elements in Sketch format. 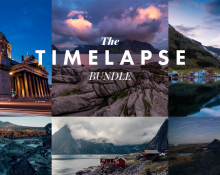 Timer, clock, calendar, reminders, and a couple more screens are all available, and you're free to download, modify, and use for personal and commercial projects. 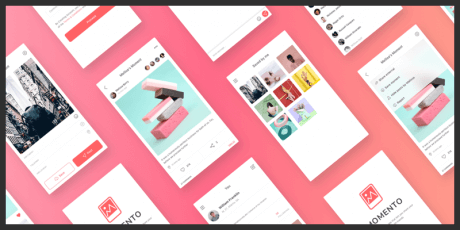 Momento is a free UI kit for social media applications by Dribbble user Kuldeep Sharma. It features screens for login, register, profile, feed, and much more! Everything is included in a single .sketch file and you're free to download and make use of it as you will. 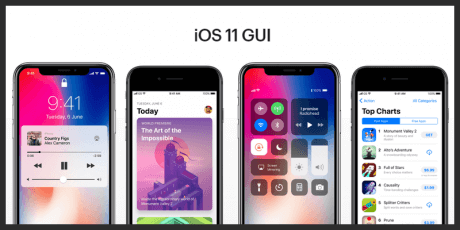 Sketch and Photoshop templates of GUI elements found in the public release of iOS 11. Labels, buttons, keyboard, lock screen, media player controls and more. 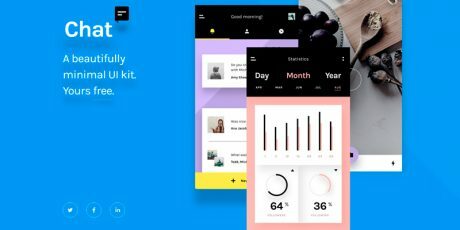 From Behance user Daniel Mitev, this amazing UI Kit dubbed Addstract UI is a quick solution for kickstarting a project with a professional looking UI that comes in two flavors: White and Dark. 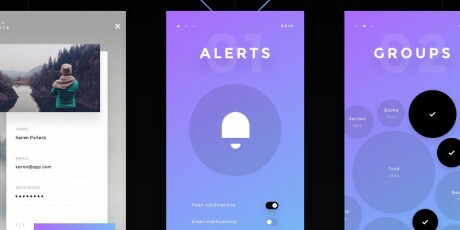 Its design with gradients gives it a fantastic, unique feel, and among its features it has an animated video player, easily interchangeable icons module, and many more neat features. 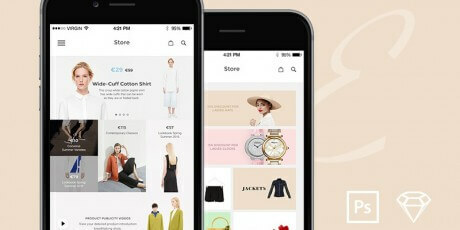 Simply is a neat, modern looking UI kit for e-Commerce apps made by Behance user Ahmad Nurhidayat. 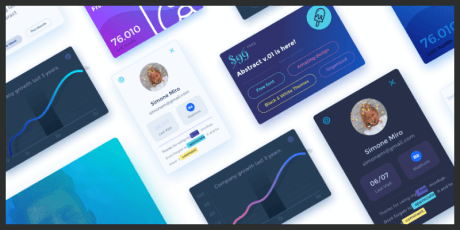 Made specifically with small to medium businesses in mind, every UI element is made to be as easy to work with as possible,100% vector shapes to work with, organized layers, and availability in .Sketch format, as well as a well structured XML file for Android Studio. 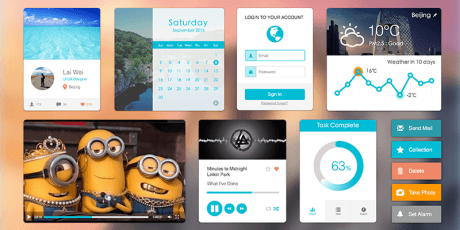 Liquid Pro UI is a comprehensive, award-winning UI kit developed by the guys over at DtailStudio. 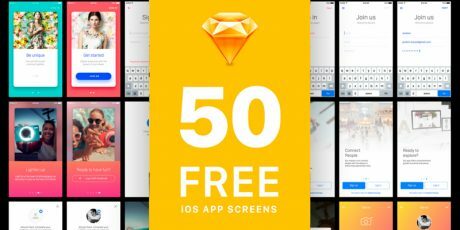 This freebie contains both Sketch and PSD file format and provides a lot of useful and use-ready components to get your website or app design project started. UIME is a HUGE Sketch mobile GUI Kit with more than 80 screens. Carefully designed to for retina screen (640x1136). More than 9 categories and more than 20 icons. 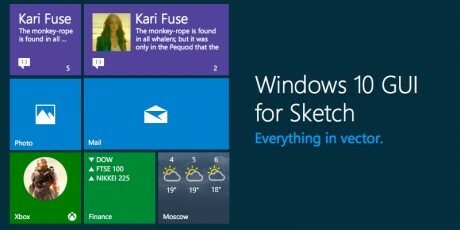 Everything in this Sketch project is customizable. 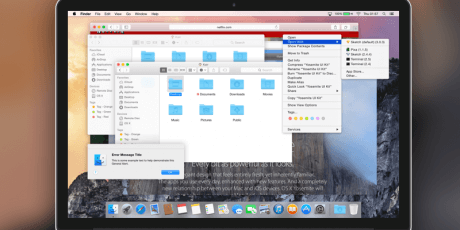 UIME is well organized, named and layered. 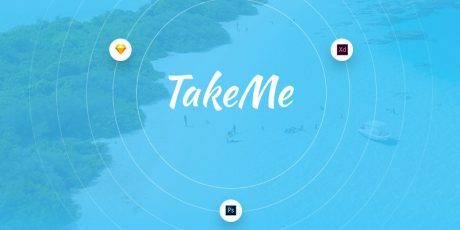 A meticulously assembled UI kit with more than 80 components, contains all the most essential web elements to work with in Sketch and 2 ready to use sample pages fresh off the box. 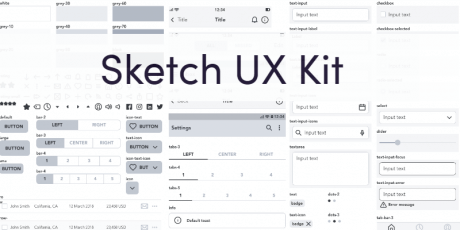 A Sketch User Interface elements kit that allows you to fully organize UI elements in a Sketch file with symbols and styles. A complete user interface kit made in Sketch (using Illustrator and Photoshop for some details), specially for iOS and Android. 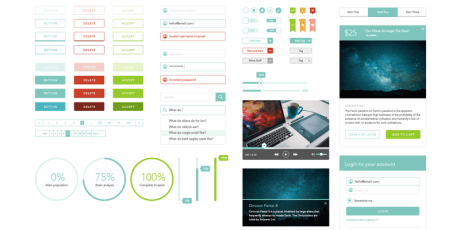 The UI kit has a minimnal style, and it includes flat elements to depict ideas and concepts easily. 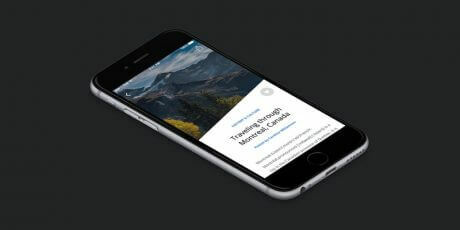 A cool mobile UI template made in Sketch, perfect for a traveling mobile app. 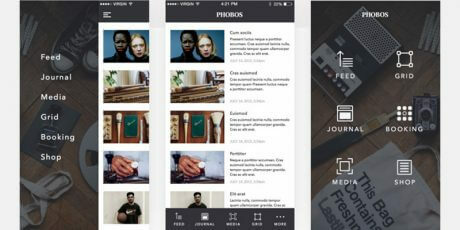 Inside you'll find a crafted creation with smart objects and organized layers. Among its screens there are parts for store, login, search and many more. 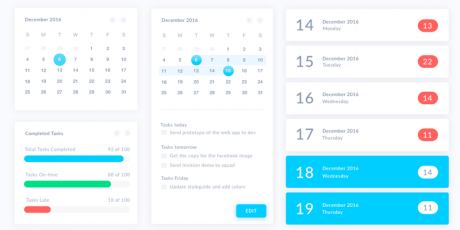 This is a calendar UI made in Sketch. It includes the monthly view, daily view, and tasks. It can be used it in commercial and personal projects under the creative commons license. 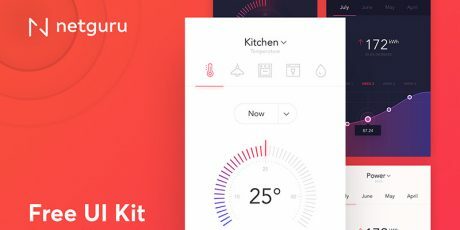 A free UI kit for a smart home application created in Sketch. It has a really beautiful design, complementing the predominant whites with bright colors. The app mockup includes screens for the kitchen, power, confirmation, and more. 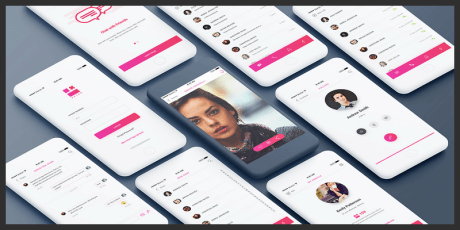 A 62MB UI kit with screens and design elements for iOS 10 made in Sketch. 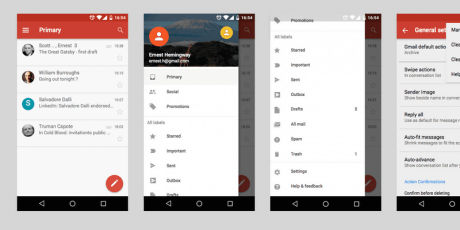 It includes symbols and notification templates, among many others, all in vector shapes. 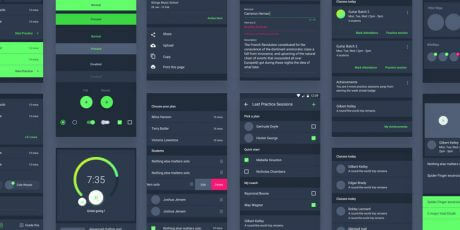 This UI Kit is open source. 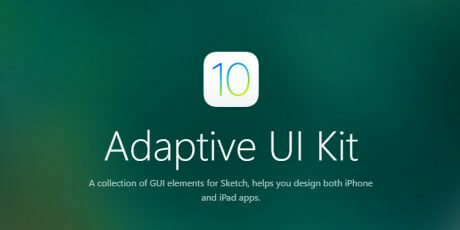 A nice user interface kit made in Sketch to design iPhone and iPad apps easily. It has 104 components, 80 icons, 11 demos. It's resizable and includes a typography guide to help you change the appearance quickly. 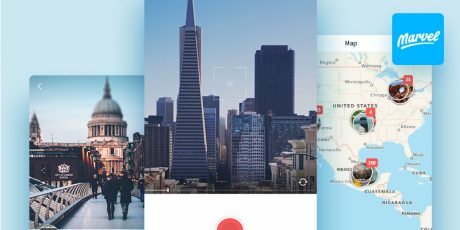 A free traveling user interface kit built for Sketch. 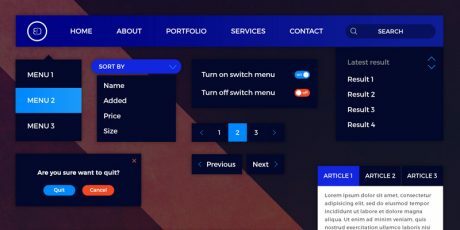 It contains over 50 screens and tons of additional design elements like icons, forms, buttons, message bubbles, controls and more. The kit weighs more than 120MB. 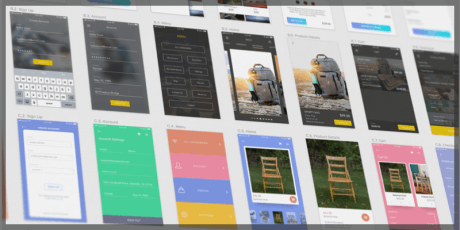 This GUI set includes more than 100 screens with adaptive UI for iOS 10. 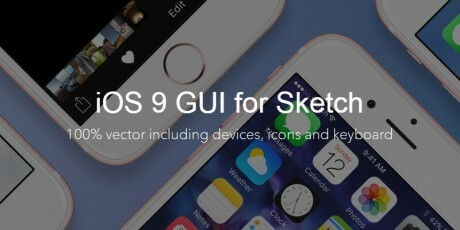 This fully customizable set comes in Sketch format and it is a very good kit to use for iPhone. The file is 192 MBs. 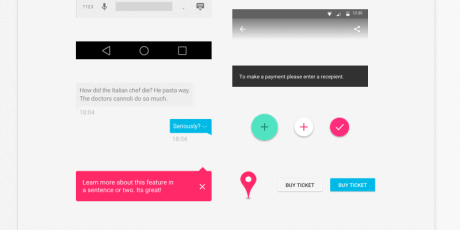 This is a Sketch file of the Google Now widget, it helps you create Now Cards. 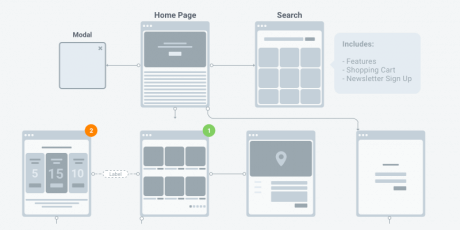 Each layout is carefully crafted and based on the Google guidelines. 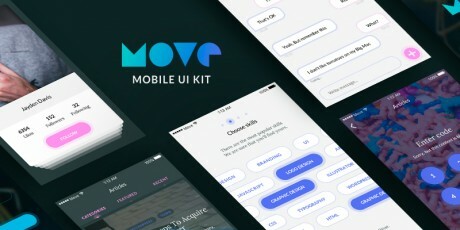 This kit offers over 30 unique mobile UI screens designed for Wonep, the international calling application, in a Sketch format. 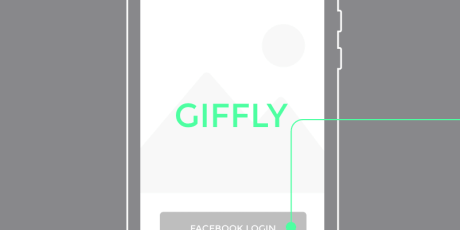 It includes a Principle File with animation, which will show the user experience through the mobile app. 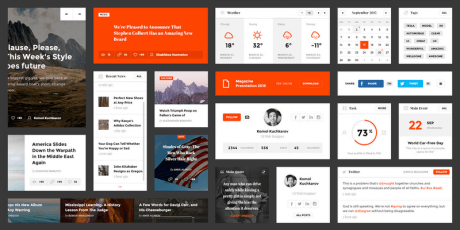 Article UI: An Useful UI Kit for Article Composing. 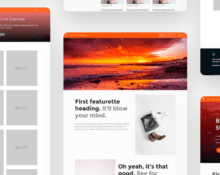 This is a free sample of the amazing and comprehensive Article UI, incredibly useful tool made as an UI kit for article composing. 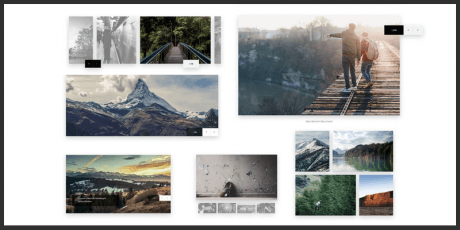 It features a minimalistic design and various design components such as comments, blockquotes, galleries sliders and more. Contains PSD, Sketch and HTML (responsive) files and formats ready to be used. 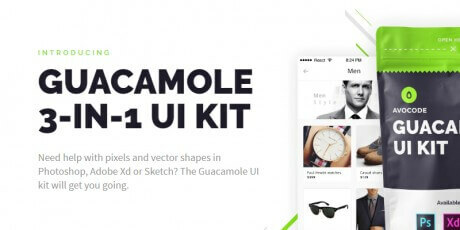 Guacamole is a user interface kit in PSD, XD and Sketch formats to help you develop faster. 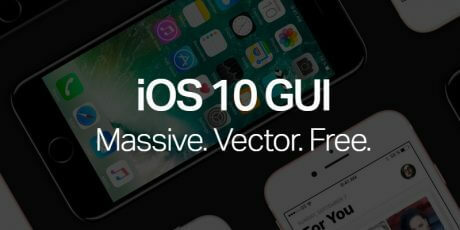 Inside you'll find more than 150 icons, 70 UI elements, 600 retina layers, more than 500 vector shapes, and the best of all, they can be downloaded for free. use it for e-shop design, a new app UI or to redesign a blog. 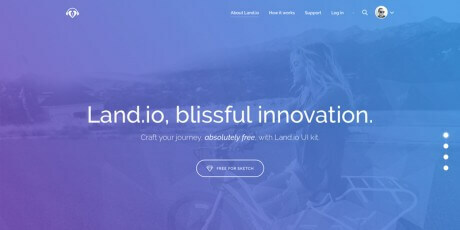 Landing free is a simple and colorful sketch and PSD UI kit with tons of handcrafted UI components created to speed up your design process. 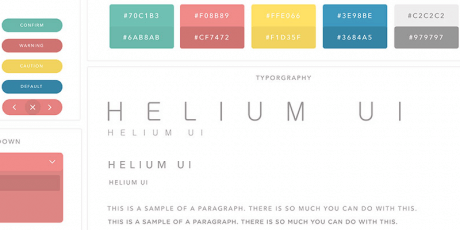 It has a huge elements collection, including 80+ layouts in different popular categories. The total download weighs around 150MB. 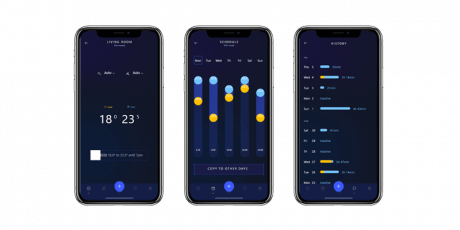 A user interface kit made in PSD and Sketch format including several design elements like navigation, menu, alerts, video and music players, widgets for weather, calendar, images, sliders and many more. It is retina ready. The download files weight more than 170MB. 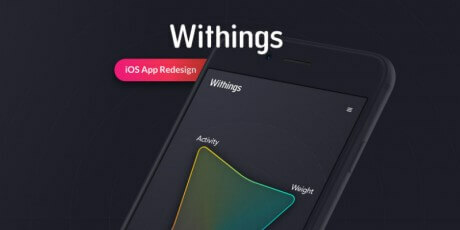 This is a redesign for an iOS app called Withings (totally editable thanks to its vector elements). 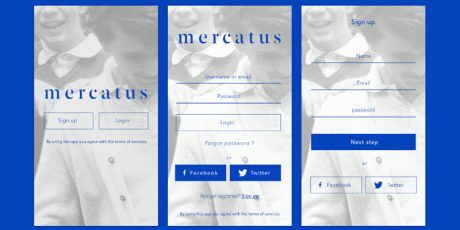 It is a conceptual creation that includes fonts, a login screen, a compelling navigation, a timeline, a minimal user interface and more. 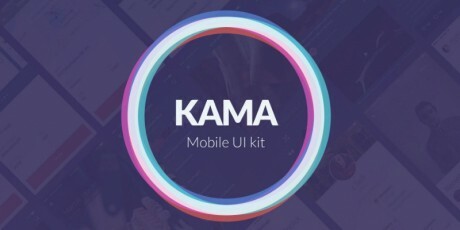 Kama is a mobile user interface kit made for Sketch and Photoshop that includes a conceptual redesign of iOS, and it is totally editable thanks to vector shapes and smart objects. 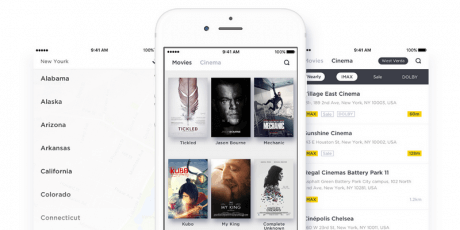 The UI has 120 ready-to-use screens, 8 categories and countless design elements for you to have fun. 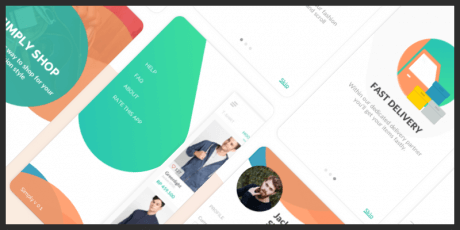 Relate is a Photoshop and Sketch UI kit that allows you to create UI templates with ease the way you want to. 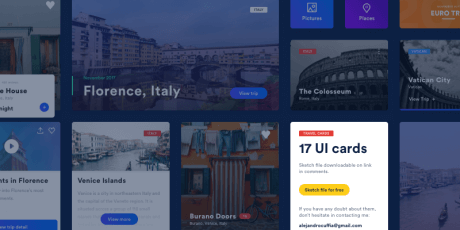 This user interface has 45 templates--distributed in 15 categories--and more than 100 UI elements, all of them optimized and retina-ready. 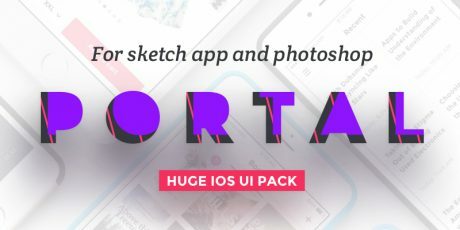 Portal is a free UI pack that is editable in Photoshop and Sketch. 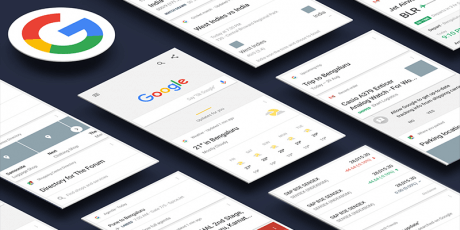 It includes more than 200 screens and even more UI elements. The pack is layered, vector-based and it has Google Fonts. Inside you'll also find categories for easy indexing. Download size is 122MB. 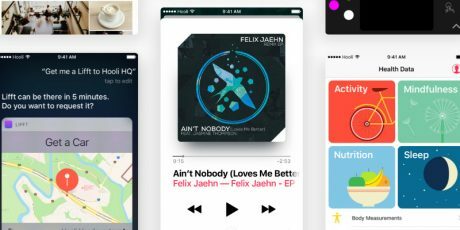 An iOS 10 user interface kit for Sketch that is totally editable, structured, layered and includes named UI elements and screens. 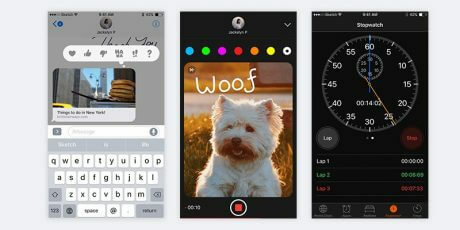 It has real resolutions for iPhone 6 versions, and elements are vectors for easy editing. Download weight: 90MB. 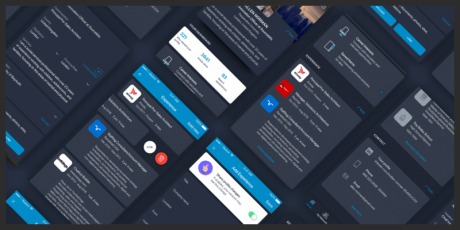 A user interface kit for a wallet application (for use in mobile devices) made in AI, PSD and Sketch formats. 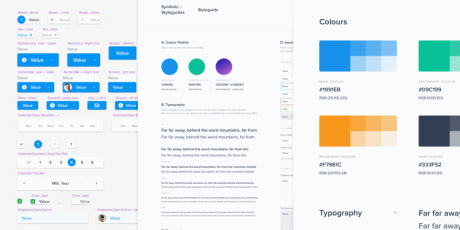 It features Google Fonts, vector shapes, layers and a pixel-perfect design. 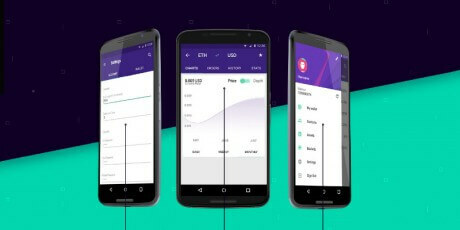 The UI shows graphs and other design elements for developing an app that manages money. 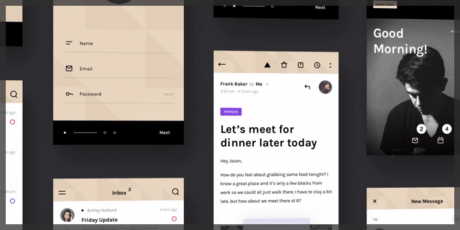 A UI kit crafted for designing your own mobile email application, it counts on screens for inbox list, an off-canvas menu for options, a message composer, a sort-it-quick reading one, among others. 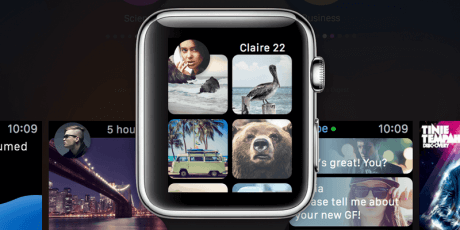 WatchOS 2 is a Human Interface Design Kit that allows you to deliver the best user experience for the Apple Watch, counting on 1000 elements that compose 186 screens in 18 different categories delivered in PSD and Sketch format files. 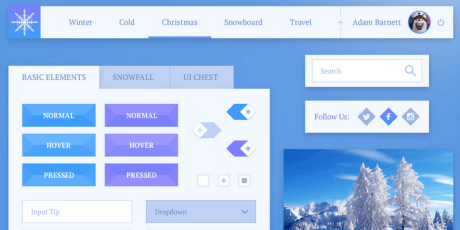 A nicely crafted Windows 10 UI kit for Sketch, the kit includes all the necessary and common controls in designing Universal Windows Platform. This pack features dark and light themes with an attractive color palette. 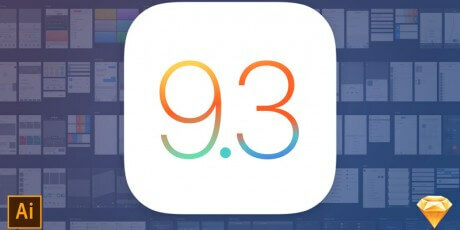 A well-structured iOS9.3 UI kit for Illustrator and Sketch that features a collection of navigation bars, segmented controls, table views and other reusable system components counting on over 80 recreated full-screen Apple system app screens. 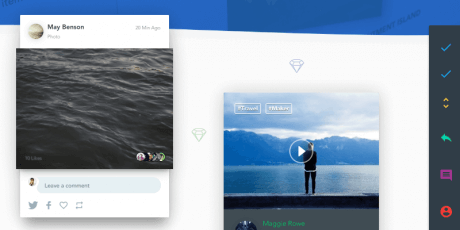 Complete and dynamic UI kit for chat in a minimal style, including 60 templates, 12 categories, and 80 UI elements-optimized and retina–ready, available for Photoshop and Sketch. The bundle has a hefty size of 480MB, mostly due to Sketch files. 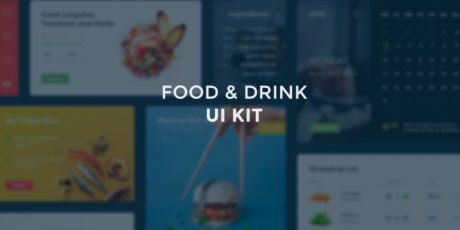 This UI kit is specially made for a restaurant or food related websites, built in a clean and simple, yet dynamic Masonry layout, available in psd and sketch files. We bring you this Q1.2016 edition of the GoodBarber Open UI Kit with over 150-pixel perfect iOS and Android UI elements. 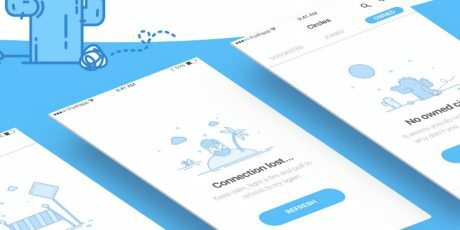 Each screen included in the Sketch file is fully customizable and can be integrated with the GoodBarber app building platform. 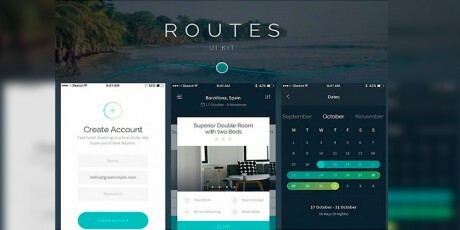 Routes is a Flat UI Sample Kit for iOS that includes 12 pixel-perfect screens available in both Sketch and PSD format. It goes well with any restaurant, hotel, online shop websites and others. 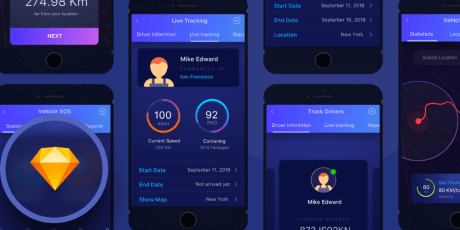 Free UI KIT available in two different colors, simple interface for iOS with a couple of pages intended for mobile applications, provided in Sketch format. 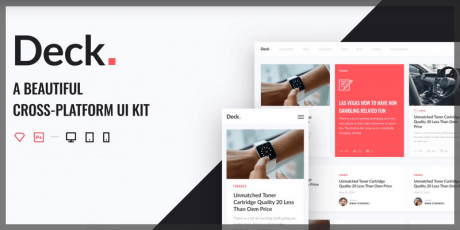 A UI kit for mobile devices that features colorful containers that contrast with a black background crafted in Sketch. 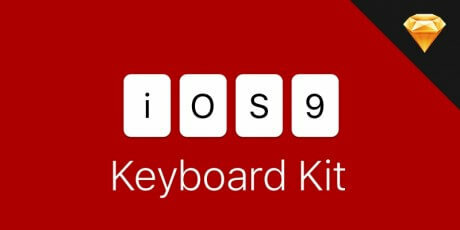 A kit of iOS 9 keyboards crafted in Sketch by Tom Graham that includes including both light and dark styles. 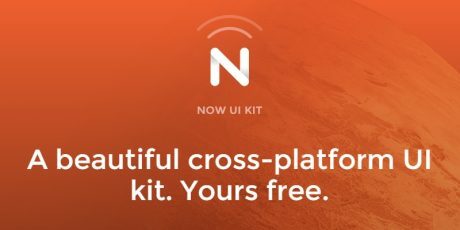 InVision is a cross-platform UI Kit for Mobiles that comes with 52 templates, 35 custom icons, and more than 180 extra elements all of it completely ready-to-use for Retina Screens. It features a nice minimalistic style design laid out on a pixel-perfect 12 column grid, all fully vector crafted. The full archive of both PSD and Sketch files is a hefty size of 930MB of goodness. 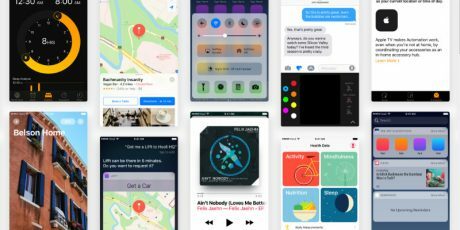 A complete iOS 9 UI Kit for Sketch fully crafted under Apple guidelines and featuring preset screens, app icons, status bar icons, keyboards, Siri, lock screen, settings, and many more. 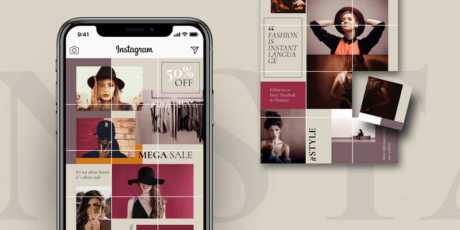 Elegance is an iOS kit that features a nice and clean style in its 12 high-quality iOS UI templates regarding clothes and shopping displayed in a crystal-clear 750 x 1334 pixels screen. 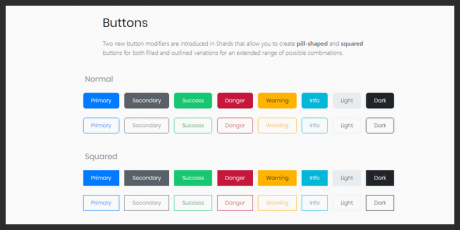 Moreover, it comes with a fully customizable color structure and vector support icons. 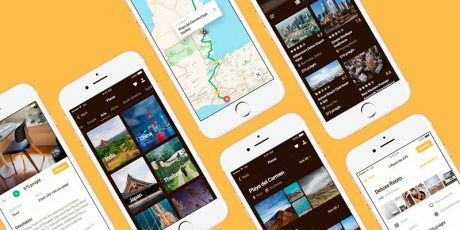 Sunshine Travel is a 250MB+ UI kit crafted in Sketch by Ena Baćanović that contains over 50 clean screens for iPhone featuring google fonts, pixel-perfect crafting, and organized layouts. Some of the screens you'll find are login, get started showcase, tourism tiles, and more cards. 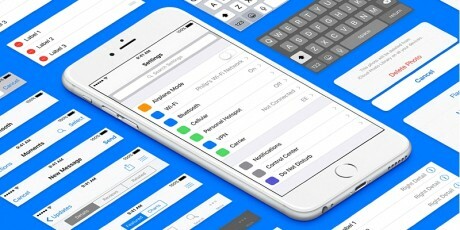 A clean and minimal UI kit for iOS 9 pixel perfect crafted by Philip Amour in Sketch format. It features apps such as settings, photos, messages, safari, both light and dark keyboard, and more. 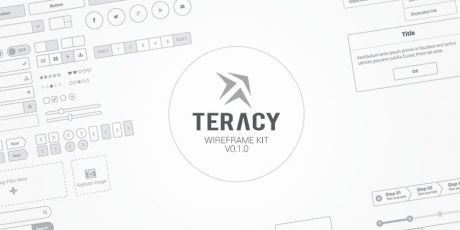 This kit is released for free under an MIT license. 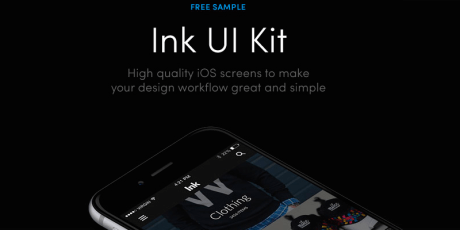 Ink is a fully customizable UI Kit in PSD and Sketch formats featuring iOS8 iPhone screens. It includes 10 elements in each format, among which you'll find screens for web pages, products, profile and more. It was created by Great Simple. 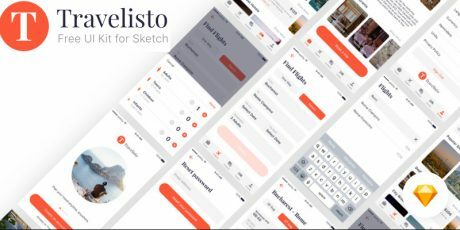 Persei 8 is a UI kit designed and built in Sketch by Jerome Villagracia. 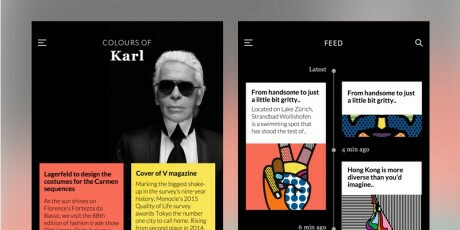 It was made in a flat design, complemented with some minimally-styled elements. It is quite intuitive and features buttons, sliders, loading bars, among others. 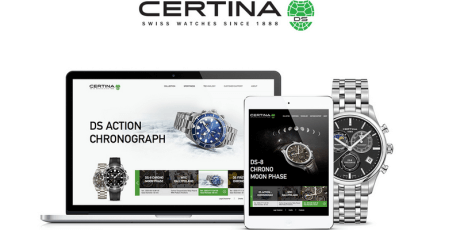 A customizable and scalable UI kit in Sketch format which was used for the redesign of Certina's webpage. The file includes grids for adapting and changing the design easily. It is distributed by Young Lynn and it's licensed for non-commercial use. 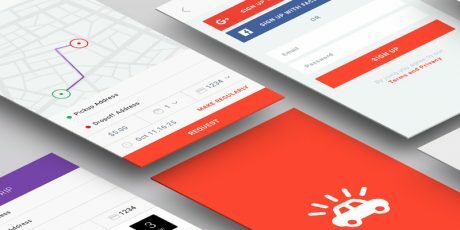 A versatile to-do app UI kit that includes 130 screens, 10 special themes and more than 250 user interface elements. 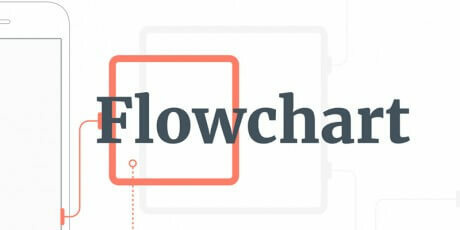 It's available in PSD and Sketch formats, it is totally editable and scalable. 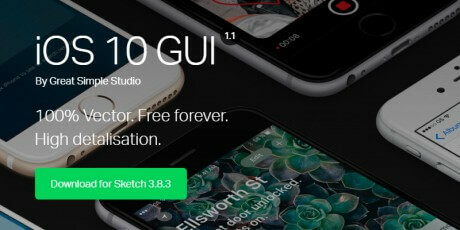 This freebie weighs over 300MB (PSD) and over 700 MB (Sketch). 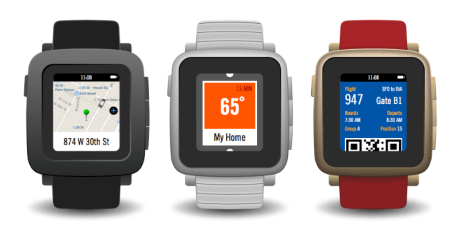 A UI kit for the Pebble smart watch made for Sketch and Illustrator. 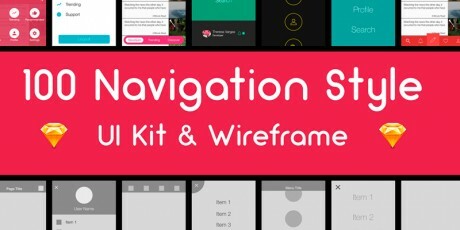 The kit includes several watch frames, color schemes, icons and several screens for apps. Among the screens you'll find weather, notifications, clock, call ID, camera, photos and many more. It is free to use with attribution. 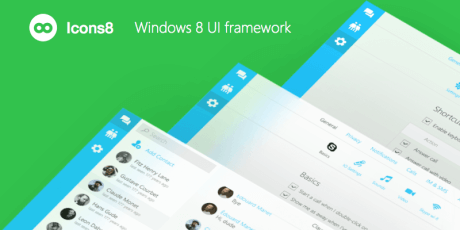 A Windows 8 UI framework for Sketch that includes design elements like off-canvas menus, grids with sorting, toolbars, search, form elements, input boxes, buttons, radio buttons, checkbox, and many more. it can be used freely. 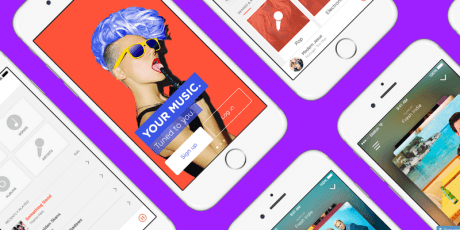 A compelling music app UI kit made for Sketch. It has screens for shuffle playing, current song, profile, login, search and many more. It can be edited and used for free in current or future projects. 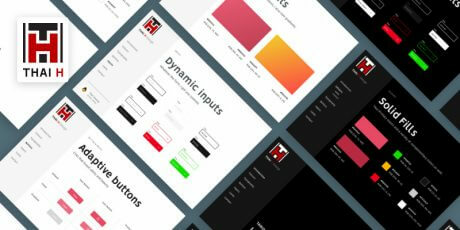 This UI kit was created by Jardson Almeida. 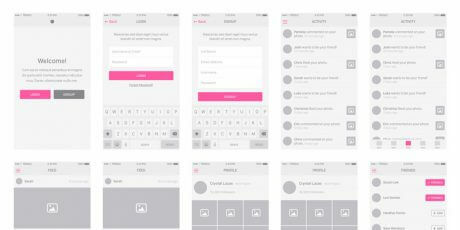 A complete wireframe for an iOS apps made with Sketch. It includes screens and guides for an app that looks like a game. 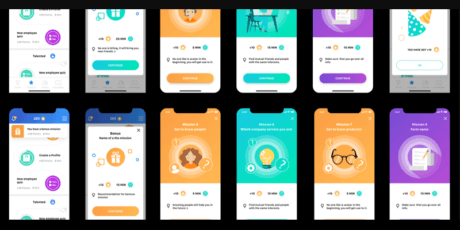 The screens are for getting and buying coins, home, scores, logout, facebook connection, login, profile, confirmation, trophies and more. 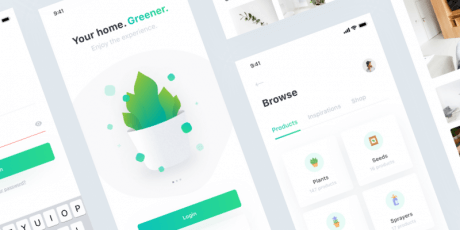 A flat pack of design elements created especially for Sketch. 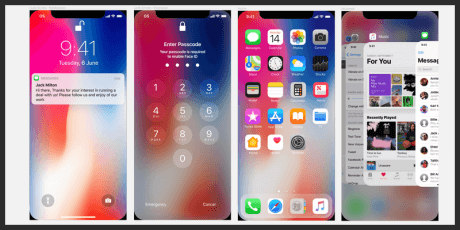 The set includes a profile badge, calendar, login widget, weather, video and music player, buttons, reminders, social sharing, switches and more. It was created by Lai Wei. A set of more than 40 Apple watch screens in Sketch format. 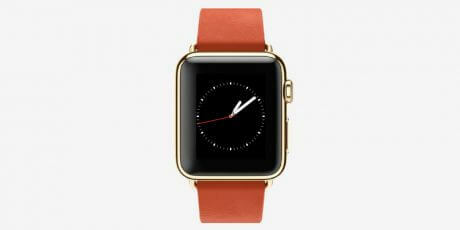 The screen follows with Apple standards and are designed for 38mm screens. The premium version of the set includes the PSD format files as well. This download weighs more than 300MB, so you can infer the quality of it. 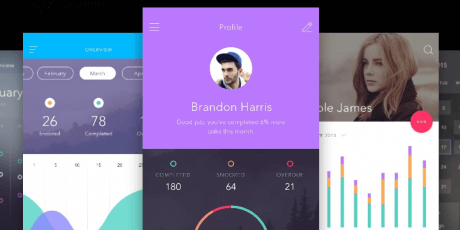 A beautiful UI kit for Sketch portraying the latest release of Android. This free creation has several layers for every app of a mobile phone including calls, camera, calculator, timer, contacts, messages, notifications, and many more. It is free to download and use personally. 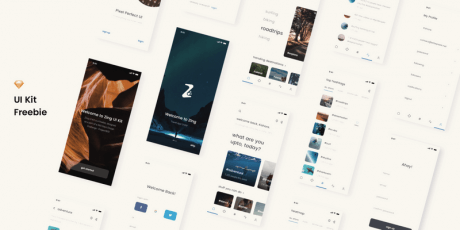 Pausrr is a beautiful Sketch UI kit for mobile apps. 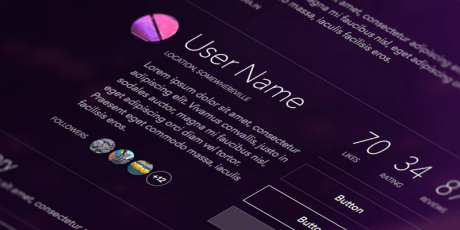 It has editable vectors and includes design elements for headings, sliders, user profiling and more. You can use it commercially and personally. Download for free. A Yosemite Sketch user interface kit including all the elements for the latest edition of Mac OS X. Within you can find accurate components, totally free of charge, retina ready and future-proof, which mean you'll get updates when they're released.